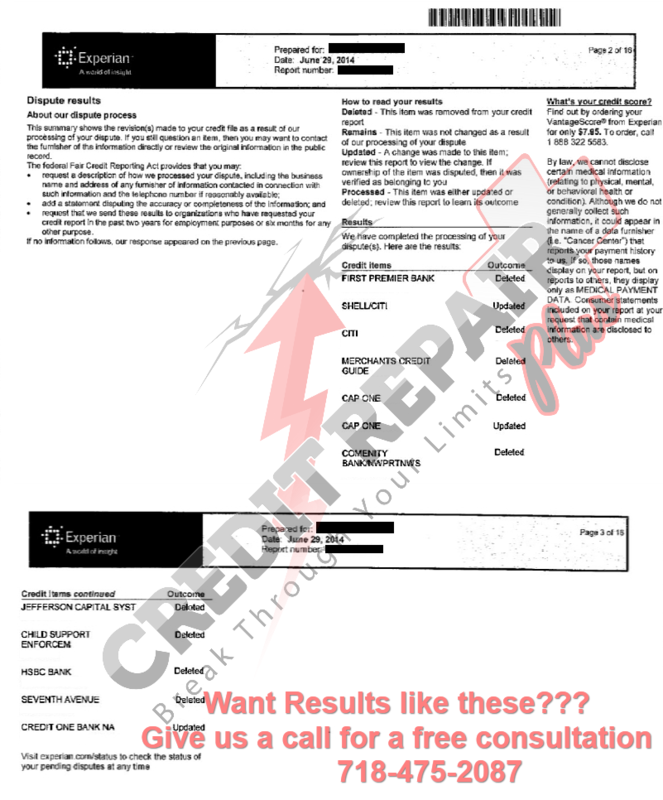 If your credit report contains any negative derogatory accounts you are likely experiencing denials, higher interest rates, and possible trouble obtaining clearance for employment. 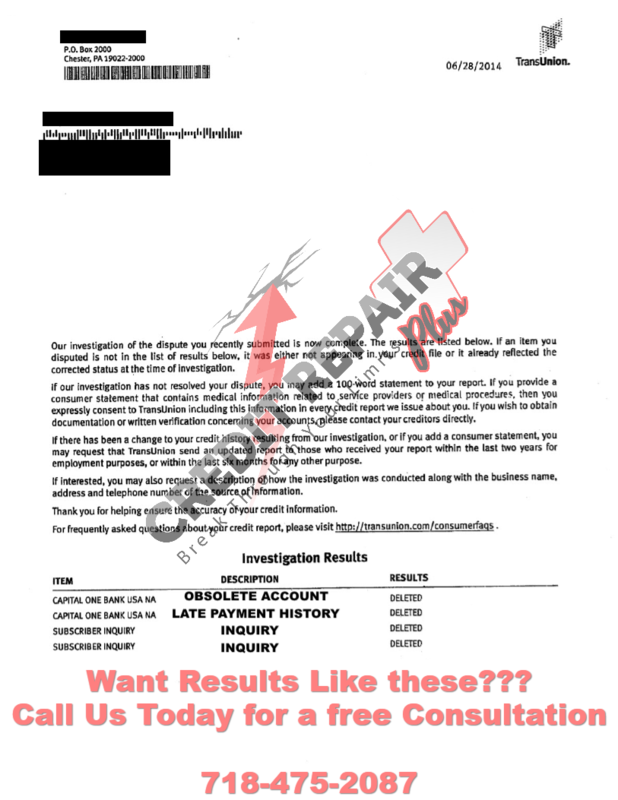 Cleaning up your past begins with us leveraging your consumer rights to engage the credit bureaus and creditors to remove the inaccurate items from your credit report. DO YOU HAVE ANY ITEMS LIKE THESE? 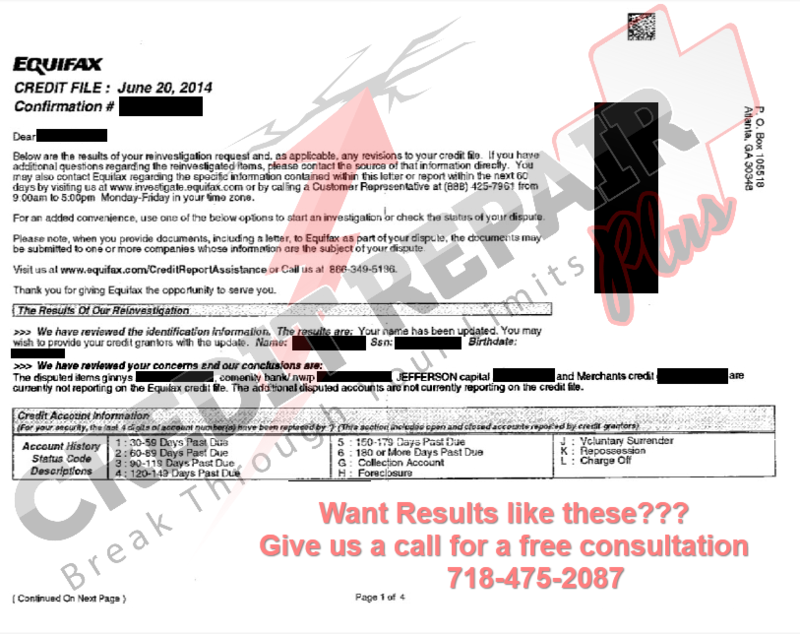 Once you decide to proceed with our program, your credit expert will establish a path to get your inaccurate items removed from your credit reports in accordance with the FCRA, HIPAA, FCBA and other consumer laws. 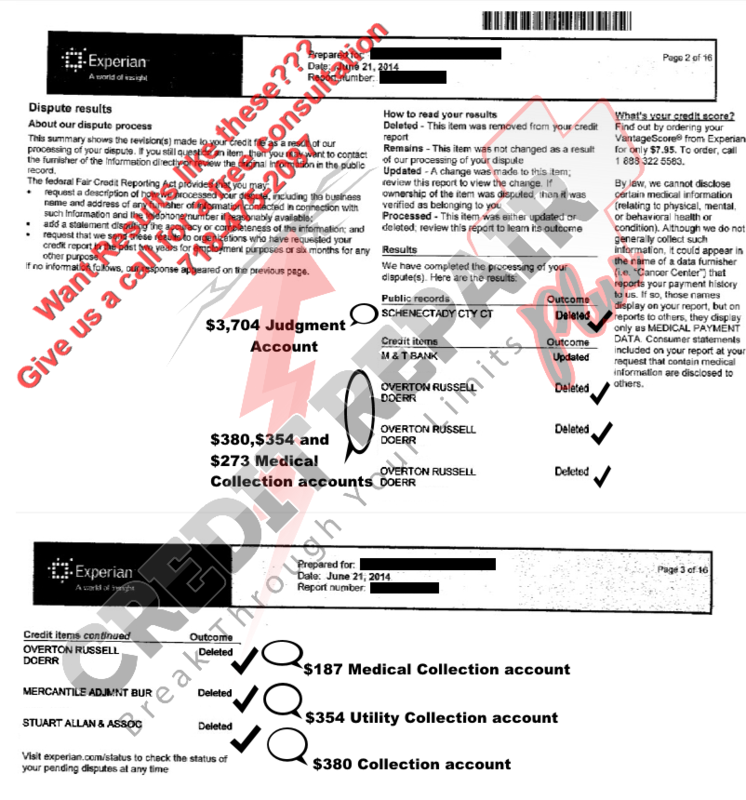 You will begin to receive correspondence from credit reporting agencies within the first 30-45 days. 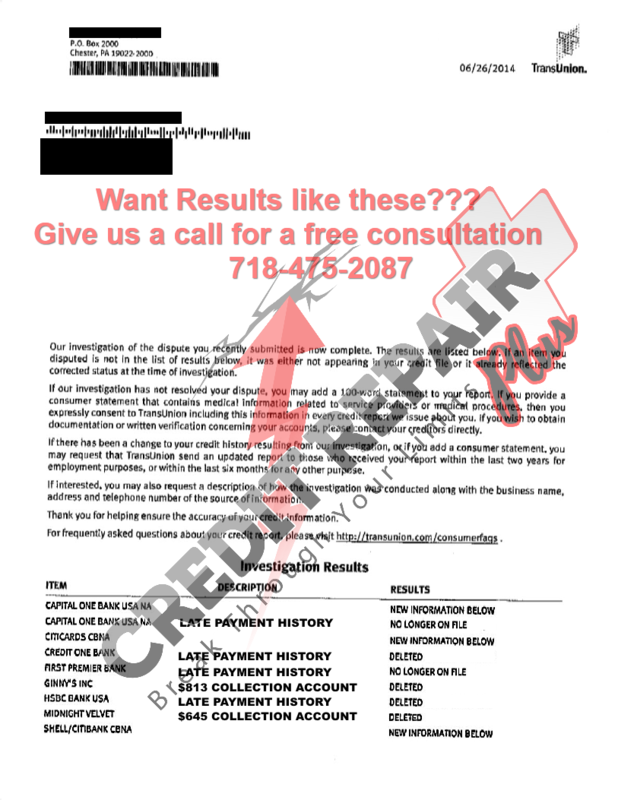 Simply forward any correspondence to us and our team of credit specialists will update the progress made on your account and proceed with the process of restoring your credit. You can monitor our efforts and success via our website. You will be provided a client login and pin code. You will also have access to our credit education programs and webinars. Get up to date and become informed with the current credit trends and advice by reading through the articles.